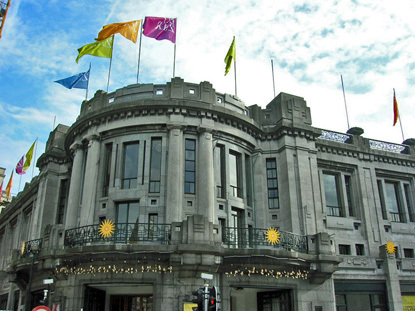 Brussels has plenty of cinema theatres, regular theatres, concert and entertainment venues for a city of its size. The city centre bursts with fitness clubs, while each of Brussels' 19 municipalities compete with each other for the best sports facilities. Greenery is Brussels' greatest asset. No other European city has as a greater percentage of parks, woodlands and other green spaces, which means that you will never run out of opportunities to exercise outdoor. There are over 35 movie theatres in Brussels. The biggest ones are the UGC de Brouckère (Metro : Brouckère), UGC Toison d'Or (Metro : Louise) and Kinepolis (Metro : Heysel). For small productions try Galeries Arenberg (Metro : Central), Ciné-club Sérénades en Chambre Noire (366, Chaussee de Wavre - 1040 Etterbeek) or the Styx in Ixelles (72, Rue de l'Arbre Benit - 1050 Ixelles). For aficionados of Korean films, try the Europa Korea Foundation Cine Club ( 337, Avenue Louise). A full listing of cinemas with timetables is available on Cinenews (French and Dutch only). For more classical entertainment, try the Théâtre de la Monnaie (Metro : Bourse or Brouckere), both for theatre and opera. The Bozar Theatre (Metro : Central or Parc) in the Upper Town is a famous venue for classical music, theatre, art exhibitions, dances, cinemas, and other cultural activities. In May the Bozar hosts the Queen Elisabeth Music Competition, one of the world's most prestigious classical music competitions. 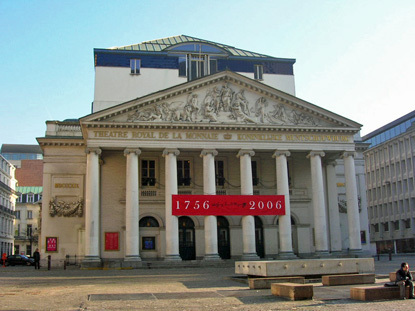 The smaller Théâtre Royal du Parc (Metro : Parc or Arts & Loi) in the Park of Brussels has mostly plays in French. Le Cirque Royal & le Botanique (Metro : Parc or Madou) in the Rue Royale-Congrès neighbourhood are the places to go for varieties, spectacles, concerts and musicals. Tour & Taxi (Metro : Ribaucourt), inside 19th-century warehouses restored in 2001, is used as a commercial and cultural centre, with all sorts of events, from theatre and exhibitions to trade shows and business summits. You can reserve and order your tickets for any kind of venue in Belgium on Sherpa.be. Brussels lacks the vibrant jazz scene of a major American city (after all it's in Europe). The few clubs in town aren't bad at all though. Try the Music Village near the Grand Place, or Sound Jazz Club in Ixelles. The largest sports clubs in Brussels are the Centre Sportif La Woluwe, in Woluwe-Saint-Lambert (opposite Kraainem metro station), or Centre Sportif Forêt de Soignes in Auderghem (along the E411 motorways towards Namur). Although the city centre only has a handful of relatively small parks (Royal Park, Botanic Garden, Leopold Park, Jubilee Park...), the southern part of Brussels is incredibly green. 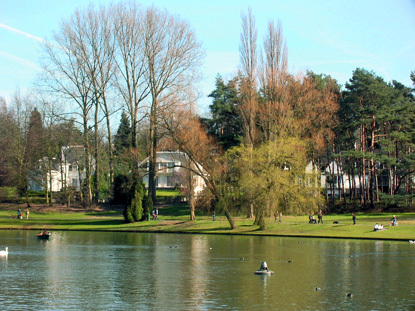 Great places for jogging, cycling or just relaxing include the 2km long Bois de la Cambre (304 acres or 1.23 km2, about the same size as Kensington Gardens or Hyde Park in London), starting at the end of Louise Avenue, and the parks and ponds of Woluwe, along Tervuren Avenue and Sovereign Boulevard. The latter are made of Springs Park (Parc les Sources), Parmentier Park, Luxor Park, the Mellaerts Ponds and Val Duchesse. Express tramway lines 39 and 44 from Montgomery Metro Station will drop you there. Get off at Chien Vert/Groene Hond ("Green Dog") or Woluwe. 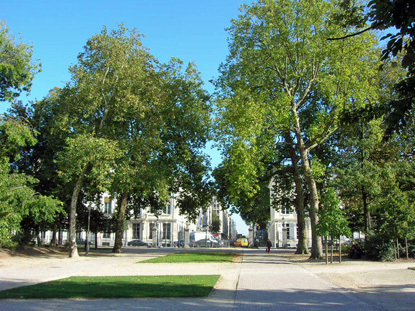 The Josaphat Park separates posh Schaerbeek to the West from immigrant Schaerbeek to the East. The legend has it that the place reminded Christian pilgrims of the Josaphat valley in the Holy Land, after which it was named. The long and narrow 20 hectare park does indeed look like a deep valley. It is one of the most beautiful English style parks in the capital, with magnificent trees, rocks, a pond with fowls - and even rabbits ! The northern section, normally reserved for school groups, has football fields, tennis courts, athletics tracks and petanque. The 4,300 ha (10.625 acres or 43 km2) Sonian Forest (Forêt de Soignes in French) divides the Brussels Region municipalities of Uccle, Watermael-Boitsfort, Auderghem and Woluwe-St-Pierre, with those of Tervuren, Overijse, Hoeilaart, La Hulpe, Genval, Waterloo, St-Genesius-Rode and Linkebeek in the provinces of Flemish and Walloon Brabant. This is Brussels', and indeed Belgium's most upper-class residential area. This is understandable given the quiet and beauty of the area and its proximity from central Brussels. The Forest of Soignes is the largest beech forest in Europe and is home to deer and wild boar. If you don't have a car, you can access the Forest of Soignes by train from Boitsfort or Groenendaal stations (train bound for Louvain-la-Neuve, every hour, 10-15 min from Brussels-Luxembourg station). Alternatively, try bus line 42 (e.g. from Woluwe Shopping Centre) or 95 (e.g. from Bourse or Brussels-Luxembourg Station), or tramway line 94 (e.g. from Rue Royale or Avenue Louise) until their last stop. The Bois de la Cambre is only separated from the Forest of Soignes by La Hulpe Road (Chaussée de La Hulpe), giving easy access to the forest for those already in the park, or vice-versa. In the north of the city, the best places are the adjoining parks of Laeken and Ossenghem (Metro : Stuyvenberg or Heysel) near the Atomium.